We’re excited to introduce an exciting new video feature, our CaptureLife Photographer Spotlight. Curated and moderated by TW Woodward, the host of Hanging Pixels Podcast, this periodic series will focus exclusively on CaptureLife photographers who are leading and growing by rethinking their business model and operations to meet the demands of today’s consumers. 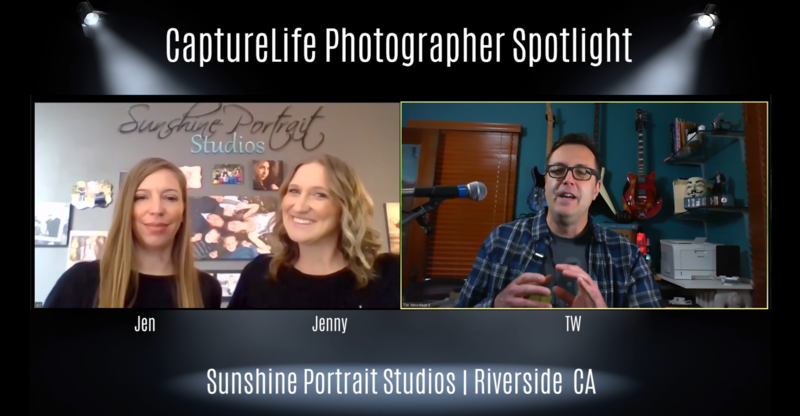 First up – Jen and Jenny of Sunshine Portrait Studios in Riverside, CA. We spent quality time with these forward-thinking partners at SPAC earlier this year. Watch the video to learn how they're mixing things up to win with today's image-first, now mentality customer. Sunshine Portrait Studios is enticing millennial parents and preschool directors with a unique approach that includes: a custom designed set, a focus on the child's personality, multiple portrait options, same day shoot and ordering, parent choice of products, and CaptureLife professional delivery. It's clearly a formula for success, and they're not done yet! If you're a CaptureLife photographer who's changing things up and embracing the demands of the millennial consumer, contact us to be considered for a CaptureLife Photographer Spotlight. We'd love to hear from you!